Jeans teamed with a jumper is such a simple little outfit, but they always look so cute. It's just a very simple smart yet casual outfit. This jumper was a present for my birthday from my brother Scott, i haven't worn it till today as i couldn't get it over my plaster cast haha. It's got a white bow detail on it and little pearl bits, so adorable, makes me feel all little and innocent in it. It's got quite a low scoop neckline so i decided for warmth the cobweb snood i bought yesterday would be best, sits perfectly and looks lovely. I have my wrist splint on in all these pictures as it's sore today and didn't want to take it off, also i apologise for bad quality today, my photographer (mother) was busy, and i couldn't be bothered to wait so attempted taking my own, outcome = terrible. Had an appointment with my M.E therapist today, it went well, she agreed that i'm doing too much and that dropping out of school was most definately the best thing for me. Just got to take things nice & slowly as i burn out easily. Was a nice session, but now i'm absolutely exahusted but that was my last appointment of the week thankfully! Was meant to be going shopping with my dad for a few bits & pieces tomorrow, but i'm too tired. 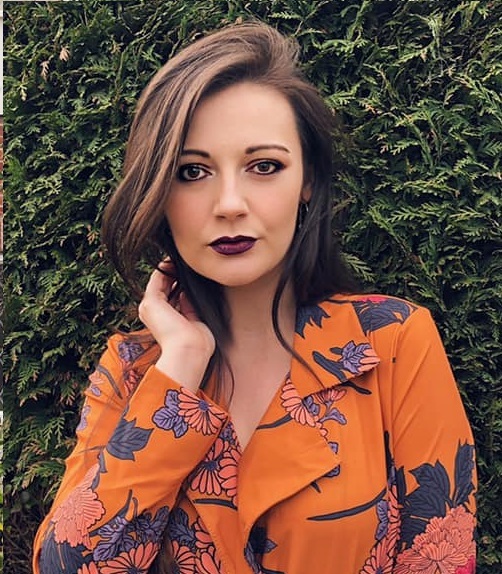 I'm going to Brent Cross with my friend Joey to shop for Valentines gifts tomorrow, will be nice to spend some time with her. Any of you want to give me ideas on what i can get Sam for Valentines Day feel free to leave me them in the comment, im SO stuck. Went to Tesco after with mum and got a few more DVD's, she seems to want to be splurging on them a lot, we purchased, What happens in Vegas, Grown Ups and Toy Story 3, I've seen the last two and did infact cry at Toy Story 3 when i watched in the cinema haha! 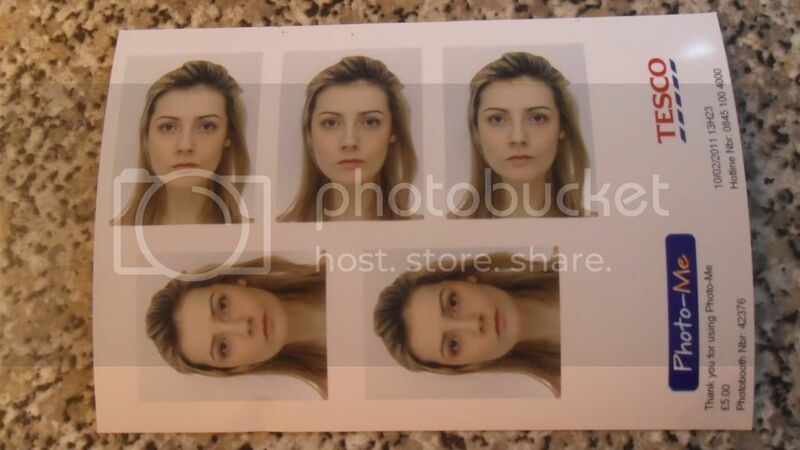 Finally got my photo taken for my provisional liscence which i plan on sending off today! Not the best picture in the world and that piece of hair on the right side which happens to be doing it's own thing will irritate me as time progresses, but hey it could be worse. You should see my current passport photo from 2007, it's actually shameful. I look very pale, with thick black hair tied back! I can safely say i look like a cross between Michael Jackson and a Chimpanzee! 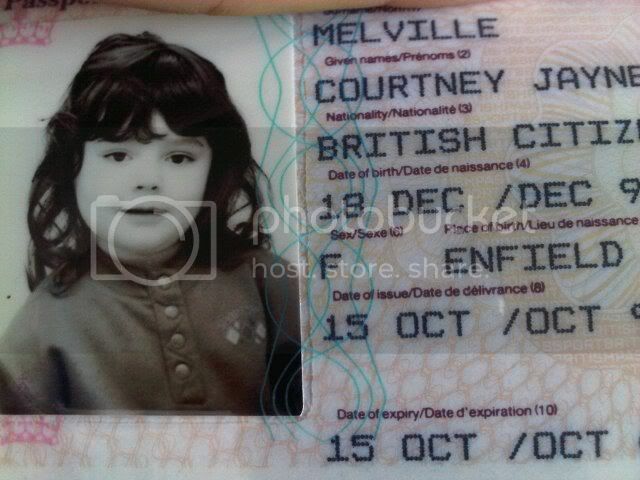 Speaking of passport photos how cute is my one from when i was 3? hahahaha! How different do i look in the photo below to the one above!! The jumper is so cute, it looks great with the jeans! The snood is perfect too! you have such striking eyes and cheekbones! Good luck on getting your license ! such a sweet post!good luck girl! oh christ, you look like a model in your license pics! I was pulling faces...no one believes mine is me when I use it for ID! if your not a model already BE ONE! u look like 1 in your license pictures... beautiful! awww look at you as a wee little 3 year old. totaly different but just as cute! You're very beautiful - especially your eyes. And i love the snood, it looks so snuggly. 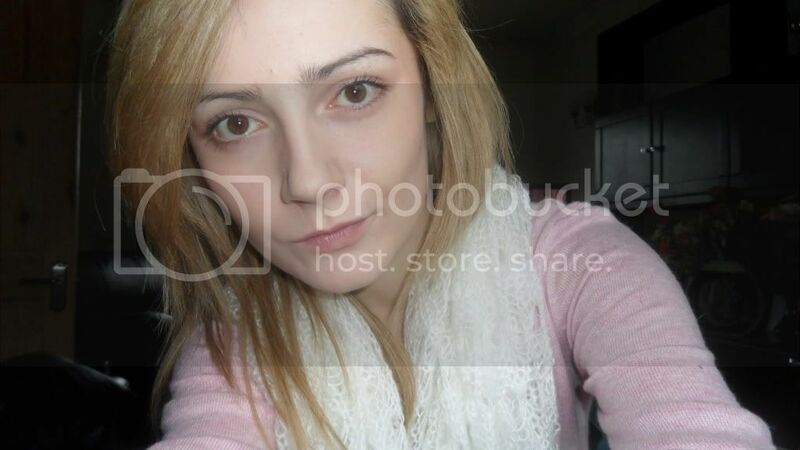 natural beauty;) and very different haircolour and face structure when you were 3! Cute outfit! Pink is really your colour, and I love how you've paired it with white - so adorable! That old passport photo is adorable!! Awww love your cute passport photo. ASOS is the best! i have yet to make a purchase! I'm sooo worried about sending off my provisional cause you have to send off the exact same documentation init? Great snood and that jumper is just too cute! awww you are most adorable back when you were 3. up until now, you still have the charm.